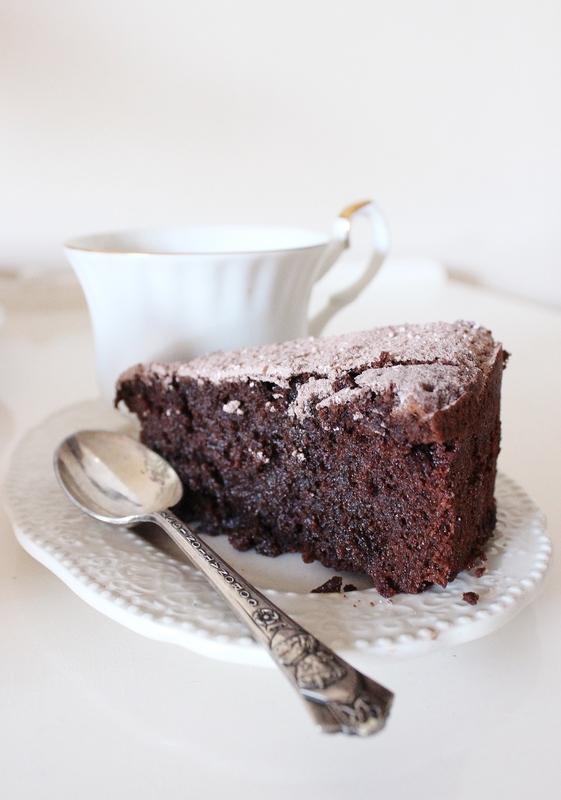 Flourless chocolate earl grey cake and a Tea Festival! This week I’m going to share tea-related recipes with you. You know that I love tea…I’m not very good at hiding that. And this weekend I’m attending the Sydney Tea Festival. A whole market filled with people who love tea? Who are mad and passionate enough to start a business revolving solely around tea. I feel as though I would get along with them! I am already an avid instagram stalker of Ttotaler Tea, The Tea Cosy, Monstrositea and Mr Earl. Hopefully this weekend will introduce me to some more delightful blends and give me some good instagram fodder! Are you going to the Tea Festival? Or do you wish you could? Let me know! Grease a 20cm round spring form cake tin and cut out a round of baking paper to fit snugly in the base. Preheat your oven to 160°C. Combine your boiling water and tea leaves and allow that to steep for five minutes. I used Neo French Earl Grey. While that steeps, bring a pan of water to a slow boil and set a bowl over it to melt you chocolate and butter together. Stir your chocolate as it melts to stop it from seizing at the bottom of the bowl. Pour your melted chocolate into the tea/cocoa bowl. Mix well. Whip up your egg whites until they form stiff peaks and then gently fold them into your chocolatey mixture. Only fold until the whites are incorporated, as the less you mix, the more air you’ll keep in there. Pour the mixture into your prepared pan and pop into the oven for 65-70 minutes. When you take it out of the oven it should still have the slightest of wobbles in the centre. To check whether it’s done, slide a bamboo skewer into it – the skewer should come out with a few small crumbs. 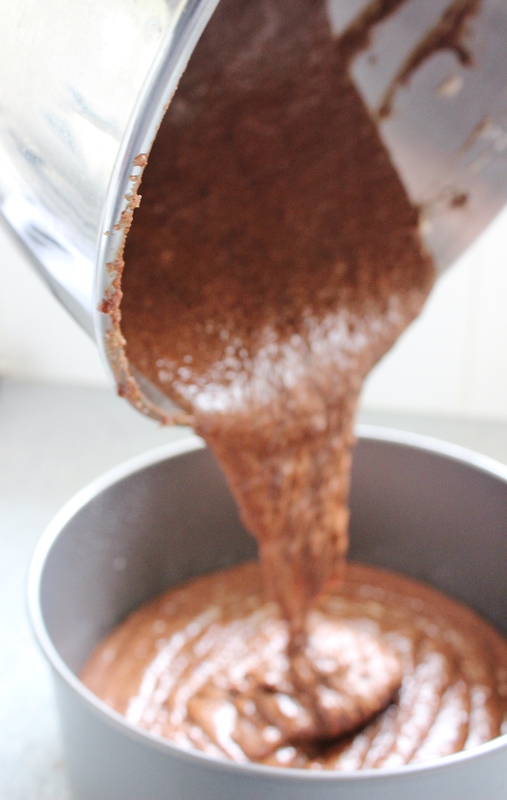 While your cake is cooling, whisk your cocoa and icing sugar together, then sift it over the top of your cake. Dust this over your cake lightly. Serve with a little whipped cream if you’re feeling indulgent. Stuid question, sorry darl. Do you mix the water or the strained tea leaves with the cocoa? Ah I’m working on the weekend which is a shame because I am also a tea fanatic! 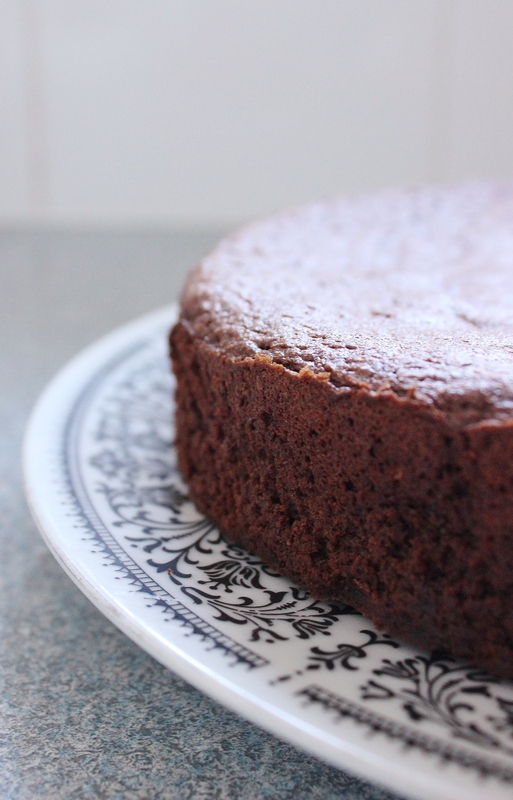 I could go with a big slice of this chocolate cake right now! It looks nice and moist! i LOVE anything earl grey flavoured.. looks delicious! I would love to go to the Sydney Tea Festival. What a wonderful Idea. I am what you’d call a tea collector and drinker. I love love tea!